Gene Merlyn Cannon was born in Corydon, Iowa on March 1, 1939. He was the only child born to Neva (Smith) and Merlyn Cannon. He passed away on February 5, 2015, at his Leon, Iowa home at the age of 75 years. He graduated from the Garden Grove Consolidated School System in 1956. He enjoyed his family, friends, music, and animals. He lived in Decatur County most of his life. On October 16, 1965, he was united in marriage to Lois Easton of Leon, Iowa. To this union was born a daughter, Joyce (Cannon) Bain and a son, John Cannon, along with Lois's eldest son, Donald Easton. 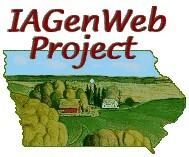 Gene worked for Reagan Implement in Lineville, Iowa before McGahuey Implement in Leon. He retired in 2003, so that he could spend more time playing music. Gene enjoyed entertaining the residents at the nursing home in Leon. Preceding him in death were his parents, Neva (Smith) and Merlyn Cannon, sisters-in-law, Leora Whitham, Joyce Norris, and Connie Easton; brothers-in-law, Dale Easton, Gary Easton, and Harold Easton; and mother and father-in-law, John and Marjorie (Fitch) Easton. 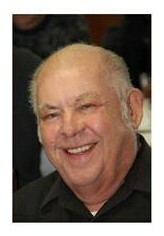 Those left to mourn his passing are his wife, Lois Cannon of Leon; children, Joyce and Bruce Bain of Haslet, Texas, John and Samantha Cannon of Lamoni, Iowa, and Donald Easton of Des Moines, Iowa; two grandchildren, Cassie and Chris Cannon, of Lamoni; sisters-in-law, Shirley Pyle and Cheryl Easton, both of Leon; brothers-in-law, Charles Easton and wife Joyce of Leon and Arthur Easton of Leon; and many other family members and friends. Funeral services for Gene Cannon will be held at 10 a.m. Monday, February 9, 2015. at the Slade O'Donnell Funeral Home in Leon, Iowa. Burial will be in the Leon Cemetery in Leon, Iowa. Relatives and friends are welcome for visitation at the Slade O'Donnell Funeral Home on Sunday, February 8, 2015 after 1 p.m. with the Family greeting friends 3-5 p.m.